It’s unlikely anyone in the patent community has forgotten about Alice v. CLS Bank. Nearly everyone I know is concerned by the fact that the Supreme Court’s decision left uncertain the scope of patent-eligible subject matter as it relates to computer implemented inventions. And yes, I have seen the many articles predicting doomsday scenarios about the decision’s potential impact on patent portfolios, streams of royalty income, protection from infringers, company value, innovation, and more. There’s another impact of Alice on the daily operation of the US Patent & Trademark Office (USPTO) that is mentioned far less often, if at all. The fact is, patent examiners are struggling with the application of 35 USC 101 in light of the Alice decision just as much as everyone else. Greater uncertainty among both patent applicants and patent examiners surely increases the likelihood of disagreement between them. Thus, the Alice decision will not just increase the number of rejections under 35 USC 101, but is also likely to result in more rebuttals by applicants and more appeals of examiner decisions. Let’s just consider rejections and rebuttals. The additional content relevant to 35 USC 101 will increase the volume of patent examiner actions and applicant responses. How much more time will be consumed? A conservative approach might assume a patent examiner will need about 15 minutes more per rejection to deal with the new uncertainties of patentable subject matter. Assume just 10,000 of the 500,000 or so utility patent applications are affected. Simple arithmetic indicates 2,500 more hours would be needed for patent examiners to address the affected applications. What if a patent examiner needs an additional 60 minutes per rejection and for a greater set of patent applications? A few years ago a Government Accountability Office report indicated that more than half of all patents cover software inventions. Surely not all such patent applications will endure rejections under 35 USC 101. Suppose 50% do. In this scenario, the arithmetic would necessitate 125,000 additional hours of effort for patent examiners – that’s equivalent to 60 patent examiners. And that does not include time for additional examiner actions on the same patent application, or for appeals. To put this in perspective, at $100,000 per examiner, the expense would total $6M per year. Now consider the boundary conditions another way. Approximately 2,000 hours per year for 8,000 patent examiners totals 16 million examination hours. The first set of assumptions results in the use of less than two one-hundredths of a percent of total examining time. The second set of assumptions results in the use of about three quarters of a percent of total examining time. Still small, but not insignificant. Additional variables must also be considered including, the potential for change in the number of patent examiner actions per disposal, the impact on appeals, and fields beyond computer implemented inventions where patentable-eligible subject matter has been impacted by other recent Supreme Court decisions. Where reality lies is unknown. In recent years, the USPTO has been touting reductions in patent pendency. Reducing patent pendency is a worthy objective so long as patent quality is maintained. A loss in patent examination efficiency, even if small, will act as a headwind against further reductions in patent pendency. So, I am hopeful that courts and policymakers will add patent pendency to the long list of reasons we should all support a path to improving clarity with respect to patent-eligible subject matter. It’s like my 6-year old daughter making all food buying decisions by herself when we go to a supermarket. I am very sympathetic to the cause, but there is something “off” about these numbers. 50 weeks x 40 hours = 2,000 hours. As such, 100% of examination time for 8,000 patent examiners cannot be devoted to section 101 issues. Another thing to consider (unrelated to my first point), even if a 101 rejection is not issued, an examiner still has to navigate the USPTO guidelines in order to make that determination. Therefore, the time it takes to address the 101 issue still needs to be added into total examination time. Take it for what it is worth, I estimate that the lack of concrete guidance from the Courts adds probably about 10%-20% more time for those that examine patents (i.e., the examiners) and those that prosecute patents (e.g., patent attorneys). This additional time (and cost) prevents applications from being timely filed and prevents (because clients have limited budgets) clients from protecting as many inventions as they could have because they are spending money fighting 101 issues rather than preparing new patent applications. While the Courts (particularly SCOTUS) eschews bright line tests, the avoidance of a bright line test with regard to 35 USC 101 has a significant negative impact on the patent system (and hence innovation). I know (for a fact) that investment companies are running away when they know that your invention involves software. If petition to make special was modified for applications to include a prototype, then some software “grey” areas are addressed by first to create vs invent (first to file). Like the complex tax system in the US, which will never be flat, we have many iterations for a flat (streamlined) patent system. To improve quality and process flow a team must iterate towards six sigma; how far off are we from that metric? Despite the added time and costs with Alice, we are still innovating..some claiming more innovations than others, especially in PTO applications. PTO needs many more diverse examples in its guidelines to help applicants and examiners. I think there is a bigger issue here too. I think that the SCOUTS makes case law that is not practical for 100’s of thousands of patent applications a year whereas the Fed. Cir. has attempted to make practical case law. For example, TSM is a good example. 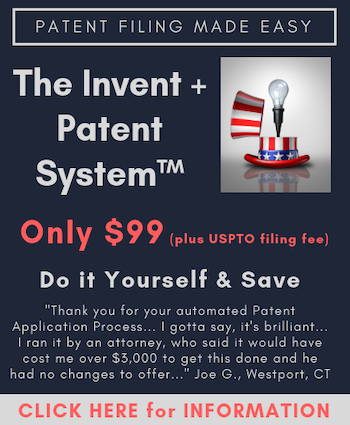 After the SCOTUS has had their way with patent law, it is really not possible to examine a patent application without spending about 100 hours on each application. Ridicoulous. Alice is an unworkable and un(well)reasoned decision. It is say, but very likely that the vocal anti-patent software developers will have their way in most cases. The question remains whether they will be singing the same tune in 5-10 years as their inventions get stolen by larger companies, leaving the smaller companies and individuals to rue their stance. Copyright provides some degree of protection for huge codebase without any unique functionality. I am gonna write angry note to show creators if I see them misrepresenting the reality. In my experience so far with Alice rejections (gaming machines), the Examiner prints three pages of stock boilerplate about the framework; says claims 1-X (i.e., as a group instead of individually as required by the December guidelines) are directed to the concept of XYZ (e.g., “arranging symbols”); calls that a method of organizing human activity; asserts that all of the various additional language is nothing more than known computer components that do not add significantly more; rejects as abstract; and goes on his or her merry way. In other words, I have been seeing nothing but cut-and-paste language, which, I cannot believe, adds any time at all to preparing an office action. As for examiners not knowing what to do about the situation, I have had examiners admit as much in personal phone calls. They agree that the situation is a mess over there. The problem is real, but what is a realistic solution? Companies like IBM can afford to, and need to, appeal to the PTAB and the Fed. Cir. to try to establish some limitations and guidelines as to what is an Alice “abstraction.” That may be the only [even partial], and slow, solution? I, like many colleagues, think Congress needs to address 101. Unfortunately, they and others in the government are too focused on dealing with the so-called troll problem. I suspect the Alice debacle is having a greater economic effect, and therefore merits priority. Agreed with Ken. This is a nightmare. You have district courts following either a broad reading of Alice and invalidating everything or a narrow reading of Alice and invalidating only those claims that tie up actual “fundamental” concepts. You have different patent Examiners in the same art unit examining based on different standards, some of which are in direct contradiction with the actual law. You have PTAB decisions all over the place. It’s a mess. Congress needs to either come out and say (1) yep, computer-implemented inventions are patent-eligible; (2) nope, can’t patent computer-implemented inventions; or (3) here’s a new bunch of rules governing eligibility of computer-implemented inventions. The amount of money wasted on this over the past year or so is staggering. Not discounting what you post, but adding (hugely) to that cost is the instant degradation of the patent system itself in that the purpose by Congress of setting up the Court of Appeals Federal Circuit to bring clarity to patent law has been incessantly (and I would say deliberately) undone by the Supreme Court. The essence of destabilization of clarity does not show up NOW as any cost or money loss on any balance sheet for any company – but is no less real and I would venture even more pernicious than the costs that do show up. The problem with the Supreme Court is that it has no expertise in patent law, and is therefore inherently in difficulty in creating new, appropriate and workable rules of law. Lack of expertise rather than malice is always the more probable explanation when things go wrong. You are absolutely right about Dr Noonan’s recent posting in Patent Docs, and there are some comments of mine supporting his position. The body of the dog is provided by the statute, the exceptions are the tail, and currently the tail is wagging the dog. In an earlier Myriad posting I pointed out that Justice Thomas could have reached the conclusion that he did using the plain wording of Section 101 and without invoking any judicial exception. In the biotech field, much analysis is at the level expected of an alert contributor to the New York Times with a degree in economics, and falls short of the level expected of an attorney who has been taught decision briefing during his time at law school and has the skills needed to identify the true rule of law to be found in an opinion. I suspect that the same is true in the software/business method field: what were the essential findings of fact in Alice, what were the rules of law that were applied, what was the holding, and what reasoning supports that holding? If that analysis is carried out then the true scope of the rule is identified, and useful venues of distinction will be identified as usually happens. It may be that an amendment to section 101 is needed, but in the meantime we must do the best we can with what we have. It is often overlooked that the essential difference between the majority opinion in Bilski and the dissent of Justice Stevens is that the majority was not prepared to agree to a categorical exclusion for business methods. It is arguable that decisions broad enough to amount to categorical exclusions are likely to go beyond the language in the Supreme Court opinions calling for caution and balance, and it is suggested that useful arguments could be created along these lines. Sadly Mr. Cole (and to the skeptical echo of the “I told you so” that I read at PatentDocs), your call for reason and critical thinking is simply absent in our own legal system – both at the subsequent court level and I daresay at the Supreme Court level. Cold comfort, then, your words of “it should be” as those words are just not seen, and us practitioners once again face even more of a task overcoming what is called “patent profanity” and the denigration of the Court for the “scrivining” that we call our profession. I profoundly respect your views, but we can only work within the system that we have. If an opinion is over-broadly interpreted, as in the exuberantly over-broad interpretation by the Federal Circuit of the Myriad opinion in the University of Utah as regards nucleotide sequences, or in the exuberantly overbroad categorical exclusion of naturally occurring microorganisms as in Roslin it is our duty to point out that these interpretations are false and unsupported. Anything less is a failure of our duty to the courts and to our profession. We have to point out error respectfully, in detail and with supporting authority but we have to point it out. Nothing less will do. I have happily spent many happy hours trying to get into the mindset of William O. Douglas in Funk Brothers v Kalo, which I have to say is one of the most problematic opinions I have ever read. I have gone back to student days and written a brief on the case with the usual structure of facts, rules of law, holding and reasoning, as we are all taught when we start in the law. If you do that, the inescapable conclusion in my opinion is that Funk Brothers is an obviousness decision not an eligibility decision. There is no serious question of eligibility, merely a question whether discovery of the rule of nature can be borrowed to give the “flash of genius” then required in Cuno – Justice Douglas held not, implicitly because of the extreme breadth of the claim under consideration. Incidentally the way Justice Douglas disregards the discovery of the existence of non-interfering bacterial strains is an approach that was expressly disapproved by the Supreme Court in Prometheus v Mayo so that there is conflict between these two cases. If we find these things out, it is our duty to point them out. If Funk Brothers was an obviousness case, then no amount of judicial dicta can retrospectively transform it into an eligibility case or change the rule of law (if any) that is correctly derivable from that decision. Mistaken dicta need pointing out, however eminent the source. If we fail to do these things we are not doing our job, and if the law takes a wrong turn then our neglect of our duty as advocates is at least partly responsible. Alas, Mr. Cole, your intellect and reason is not before our courts (tis indeed patent law’s loss). “Skilled in the art” has lost all meaning. When a run-of-the-mill IBM programmer is receiving 150 patents it becomes clear that patents are no longer inventions. The patent office is awarding far too many patents and spending far too little time examining. My company has been referenced numerous times on patent applications. In 20 years I’ve received (0) phone calls asking for prior art on any of these patents. The PTO is about fees and squatting. Patents are continuously duplicated, extended, overlapping, awarded years after inventions have been on the market. My point is that there should maybe be a few thousand quality inventions per year. Any more and it becomes less invention and more squatter. Patenting every line of software code ever written eventually will prevent even the simplest of programs from not infringing. It’s gotten to the point where I’m considering leaving the industry. I think that you have confused yourself with the fallacy that the PHOSITA has necessarily been expanded to include the purposeful inventor. If you expand that notion to include efforts at invention, then you have returned to a state that Congress has expressly rejected. What you see instead is a much wider and cultural effort to partake in the very mission that the patent office was created to promote. With all due respect, your views evidence simply far too much imbibing in the Kool-aid of anti-patent rhetoric, and bear no resemblance to the actual history and purpose of patent law. The purpose of patent law was to allow inventors to share the knowledge of their inventions and not take those secrets to the grave. In exchange for sharing those ideas they are given a temporary monopoly. Current patent law allows someone, for example, make a new database table to keep track of my checkbook but to do it on a phone. There is no invention here because a phone is simply a generic computer. There are literally thousands of “do it on the Internet” patents costing businesses billions per year. Most of these patents cover the same invention as the original patent grant. That is why the Supreme Court has created the Alice test. Anon as reading above you clearly are involved in the trolling side of patents. That’s all well and good but the condescending nature of your posts is wearing thin. Sorry, but you are entirely incorrect – both in your assumption of who I represent and more importantly the underlying conditions of law. That you pick up some condescension from me towards the screed you embrace shows at least some hope that you have an ability to hear. Next, let’s work on the ability to apply some critical thinking to that which you hear. I’m currently awaiting a decision on a 101 motion I filed against an IBM patent. I’m quite familiar with how things work. Can you sure the motion? I’d be curious to see what you have argued; perhaps it would be useful for all of us fighting the issue. The case is being heard by the honorable F. Dennis Saylor IV. This about as much as I want to say about pending litigation. That sadly is the view of judges, but it is one that is extraordinarily naive. The specific computer vs. general computer distinction is really at the height of intellectual dishonesty. It is a ridiculous way to suggest that all software is not patentable because, after all, it runs on a generic computer. Of course, what makes software truly special is that it runs the same across various platforms. There are tons of software inventions that should be patent eligible: RSA encryption, MP3/MP4 compression, game engine designs, etc. stuff that takes years like drug patents. Just not patents on another “database” system that has nothing inventive other than changing the table names. The biggest problem I’m seeing is that many new patents are consisting of claims that are 99% prior art and 1% new invention. Therefore the patent holder has essentially patented a product that was being sold for the last twenty years. An idiotic jury has no clue what claims are prior art and which claims are new innovation. They think wow your product is exactly the same as the patent except for one tiny part. It’s just awful. MS used to describe and patent, no more and no less, but the whole computer with all the peripherals, each and every time they were issued a patent on some trivial unimportant “improvement”. Don;t know if they still do it: I lost interest. Years ago I was talking to some prolific MS Research patent filers at IEEE conference and told them their patents were junk. It’s a huge mess because it allows a patent holder to bring baseless suits against software products that have been around for decades. The patent needs to clearly differentiate the prior art from the improvement. Sadly there is no way to tell the difference in claims. Often the dependent claims make the independent claim impervious to prior art even though the independent claim is a straight ripoff of another product. In our case our prior art meets all the independent claims but the patent holder is arguing that the one single dependent claim of working on the Internet vs working on a LAN is enough to justify a new invention. I believe that this is what Alice is designed to fix. The claimed “innovation” is just putting the same code on a web page. Essentially taking all the old software squatting it for use on the Internet, a tablet, in a car, on a train, on a boat, with a goat. And who is the patent holder ? IBM. I gotta stop commenting here before my patent lawyer castrates me. I have to wonder if Mike T is actually the CIO of Main Sequence Technology, Inc., otherwise known as Michael (Technology) H. Snyder, and brother of erstwhile “contributor” Martin H. Snyder, who as I recall has also been advised by their counsel to stop blogging. Not that such identity matters all that much to see the plain anti-software rhetoric and absence of understanding of patent law. The plain desire in Mike T.’s posts for a direct comparison and distinction over prior art is a rather plain point that Mike does not understand what is required in patent law, that the specific points of prior art are not required of applicants (I am reminded of the Jepson claim format), and that applicants just are not required to know the state of the art (they are NOT PHOSITA as that legal term is known), and that the ONLY requirement is that those seeking patents for their inventions believe that they have in fact invented something. It is the Office that has the duty to sort this out, to find the prior art and to work with the inventor to evaluate the differences to see if those differences rise above the legal standard of 102/103/112 – and it should be expressly noted that the term “obvious” is a legal term of art, so often confused by those standing with both feet in the technical world and no feet in the legal world. I see you have gotten good use of your PACER account. You are obviously in some kind of denial that there are problems with our patent system. I can confidently say that you are in the minority of what most in the software industry feel. I Would almost believe you may be the alter- ego of Mr. Quinn himself which would not surprise me in the least. I will say that at least someone has the #%<^s to stand up to a full-on IBM siege. What have you done? How many times have you fought $200B companies in federal court? You mistake what it means to have balls, Mike T.
And your view of what the “minority of what most in the software industry feel” is completely inapposite to the reality of law and fact, but I see that does not bother you (and is likely why your counsel suggests that you do not post on patent blogs). That being said, and while I do agree with Mr. Quinn on many (but not all) things, I am not he. Three swings, three really bad misses. Please return to the bench. OK if you’re not Mr. Quinn then you may be Erich Spangenberg? Three strikes? Tell me Anon. How can a piece of software written in 1997 that has remained essentially unchanged suddenly be potentially infringing on at least 500 patents? Explain to me how that is possible in a functional patent system? That is what is being tested in court right now. Who’s counsel in that case? You identified the judge, not too hard to find the relevant case from that……. Using PACER to do so is no trickier or devious than using Google to look something up…. Besides I have other patent cases I’m dealing with. Most of the comments are related to a different case including the 1997 prior art statement. I’m leaving this land of loserdom. Just was looking for some answers as to why The (once) mighty IBM Corporation finds it acceptable to go thermonuclear on Mike Snyder. Bye. Don’t let the door…..
Disrespectful patent trolling scumbag lawyers. As expected. Take care. Like I said, buh-bye….. Have a nice day. It is you that has been disrespectful here. It is you that has let your feelings and beliefs bias an objective forum. I doubt that you are willing to listen, but as your counsel would no doubt confirm, any invention not affirmatively put into the public so as to create prior art is – and always has been – subject to being deemed an infringement for a later invention for which the later inventor has chosen the patent path. You can find all my stuff on the Internet Wayback Machine. Way back machine. A great invention……..oh, wait, it’s just software………Google? Screw it, just software. Google did not invent search. Give me break. Dtsearch was using inverted indexes in the 1980’s. It’s called marketing. Had they patented their work things would be much different. Kind of like Apple’s patent on the magnetic power jack. Millions of people have broken their laptop motherboards because of this toxic obvious patent. You miss the point. My point was simply that there are at times significant advances that are implemented in software that represent real advances and that are concrete, but which likely would not be considered patent eligible in this day and age. A major problem is that the Supreme Court framework is intellectually and jurisprudentially flawed, As are the pto guidelines that have followed from them. Examiners and spes are now rejecting without even considering specific claims or doing anything other than quote boilerplate and asset conclusion (you’re abstract, no significantly more) without a scintilla of meaningful analysi. Like trying to paint the Mona lisa with an 18 inch wide paint roller. And your wailing and moaning about how bad software patents are, AS A CLASS, is similarly over broad and analytically bankrupt. You talk about how you have stood up to the bully and YOU filed a motion and your company website spews the rhetoric but at the end of the day it evinces little more than the national enquireresque drumbeat of anti patent sloganeering. Its very easy to Monday morning quarterback the game where you don’t like the outcome but until you yourself have gotten in and truly played (on the field instead of just as the bench warmer) you don’t really know what you’re talking about. Now back to the beach with my kids…. I am more than certain as much as you would like to rely on Greg’s views pertaining to junk, his views on 101 do not support your positions here, nor do they support Mike T’s. The long and short of it is that Mike T does in fact miss the point here, that he is enamored of his own opinions, and lacks a working understanding of patent law. These a re a few very good reasons why he should heed the advice of his counsel and not demonstrate his ignorance and contempt of the law. A) find a cool new innovation in someone’s product. B) run to the patent office and file a provisional patent application. C) if the patent is granted it is now yours because it costs a million dollars to say otherwise. Guess what. Anon is 100% correct. prior art searching does not an attorney make…..